Debate rages around whether or not tablets are facing a slow and inevitable decline. 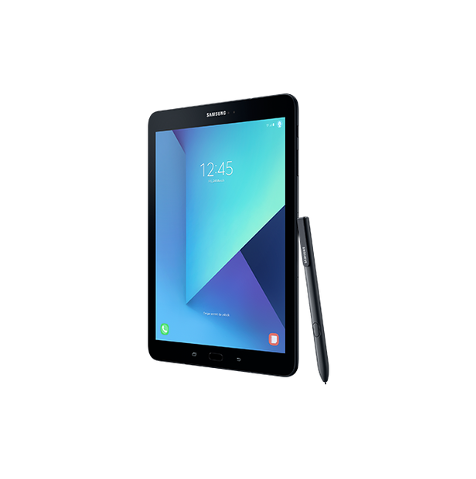 Seemingly undaunted by this talk, Samsung has put out what is quite simply its best tablet yet in the form of the Galaxy Tab S3 . It's aimed squarely at taking on Apple's iPad Pro and offers a really compelling alternative for those that don't want to dance to Apple's tune. Like the iPad Pro, the Tab S3 boasts a 9:7 aspect ratio and a cover that doubles up as a keyboard. More importantly, Samsung has managed to cram a whole lot of computing gear into a package that's 6mm thick and weighs a mere 429g. Make no mistake, this is a premium piece of gadgetry. And so it comes as no surprise that the asking price is £599 - and that's without the keyboard cover, which will set you back an extra £119. 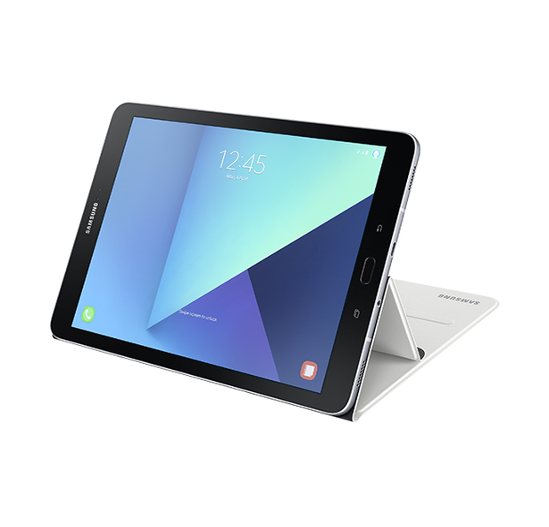 Samsung is no longer a second stringer when it comes to design and the Tab S3 follows the lead set by the S7 and, more recently, S8 phones. The rounded corners and reflective glass back look great, but it's not long before they start to get covered in oily fingerprints. At the base of the tablet is the USB-C charging port and a 3.5mm headphone jack. There's a physical phone button that also includes a fingerprint scanner on the front and this is flanked by Android's soft touch navigation keys. 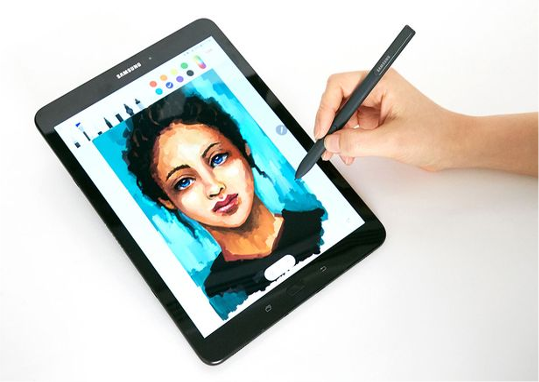 Samsung's stylus - the S Pen - also comes with the Tab S3 and works very well indeed. But, because the device is so thin, there's nowhere to store it. 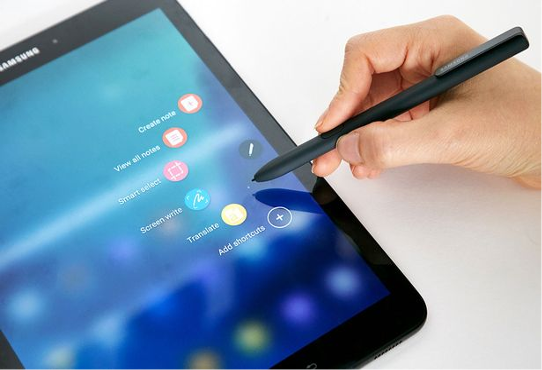 You have to rely on the magnetic connection to slap it to the back of the tablet for temporary storage. One of the best features of the Tab S3 is its excellent AMOLED screen. It has a pixel density of 2048 x 1536 and is capable of displaying high dynamic range (HDR) content, which is great, except that neither Netflix nor Amazon have updated their mobile apps to take this into consideration. There are four speakers surrounding the screen which blast a decent amount of volume at you during video or music playback. 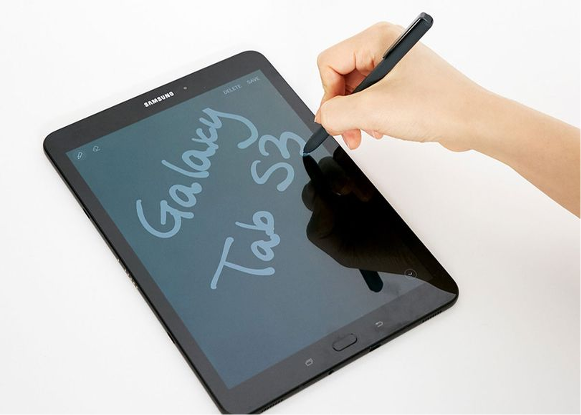 Samsung has also equipped the tablet with a 13MP rear-facing camera. It's serviceable but nowhere near as impressive as the snapper we've seen on the Samsung Galaxy S8 smartphone. The software running on the Tab S3 is the latest version of Google's Android. 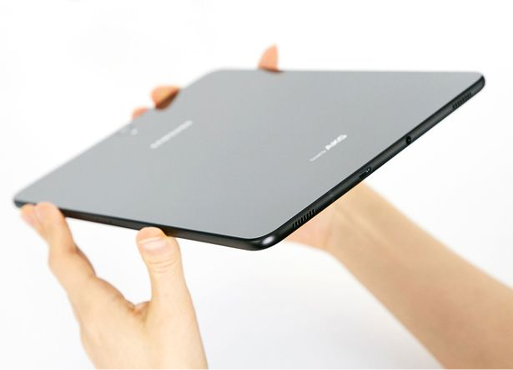 Which gives the tablet both its benefits and its drawbacks. Google's latest OS is power efficient and works well with the tablet. The drawback is that Android developers still haven't bested their iOS counterparts when it comes to making specific tablet apps. Samsung has added some neat programs of its own but Android tablets still don't have the cohesiveness that Apple ones do. Streaming a full-length HD movie will only take about 12% off the battery life. It'll easily get you through a full 8-hour workday if you plan on using it at the office. Running looped video continuously on the Tab S3 killed the battery after about 11 and a half hours. Samsung has opted for a 6,000mAh battery for the Tab S3, which could be considered conservative. However, given the issues with the Note 7 phablet, it's hard to fault Samsung for being careful this time around. Regardless of what the South Korean company could do, what it has done is more than enough to satisfy most users. The bundled fast charge adapter will also juice the gadget up in about two hours. It's true that the £599 asking price is a bit on the steep side. But, then again, you can reasonably expect this tablet to last you a good three or four years before it starts to show its age. 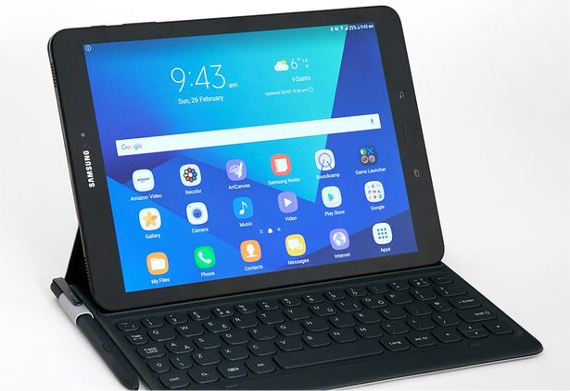 Samsung has pulled out all the stops for this tablet and the payoff is that it's possibly the best Android option on the market right now.